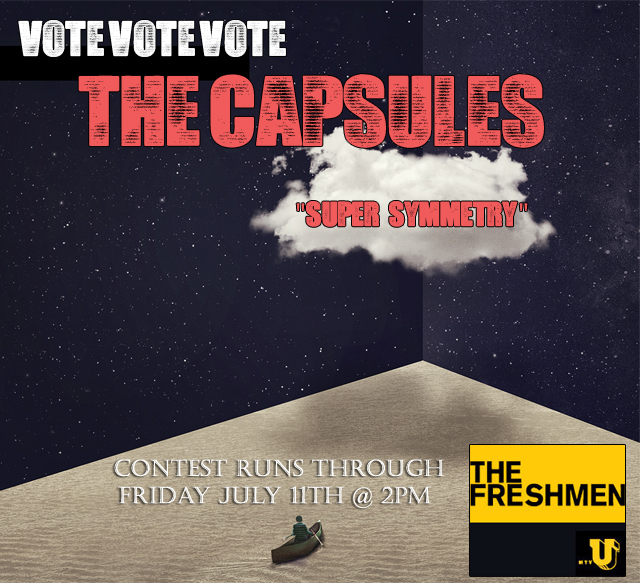 The Capsules Competing in mtvU’s The Freshmen Competition! Rising Dallas-based dream/pop trio, The Capsules, are competing in mtvU’s latest The Freshmen competition. If they win, their beautifully crafted video for their mesmerizing single, “Super Symmetry” will earn a spot in regular rotation over at mtvU! This message is a call to arms for all supporters of The Capsules to follow the link below and vote as many times as you possibly can. Heads up: this competition is a two-weeker, so keep that in mind and if you’re a big fan, please keep up the support through July 11th! And if you haven’t seen it yet… check out the “Super Symmetry” video below!